Sometimes I wish I lived in Japan. 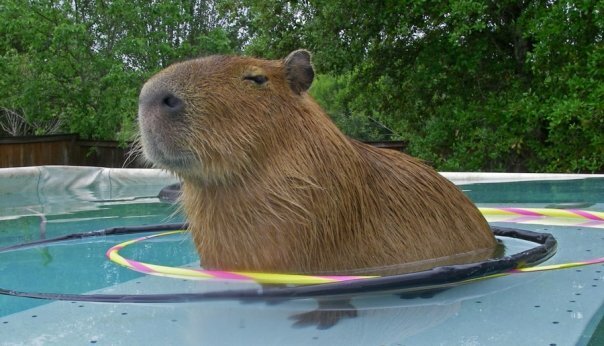 Here in Texas no one even knows that capybaras exist, let alone that we are the kings of all rodents. But in Japan things are different. In Japan people appreciate capybaras. They have Kapibara-san, a cartoon series that stars a capybara! See photo above and also capyblowg for examples. Capyblowg is actually a blog written by two Kapibara-san toys. Imagine. The capybaras roam freely at zoos in Japan, not trapped in small pens or enclosures, and people can interact with them. 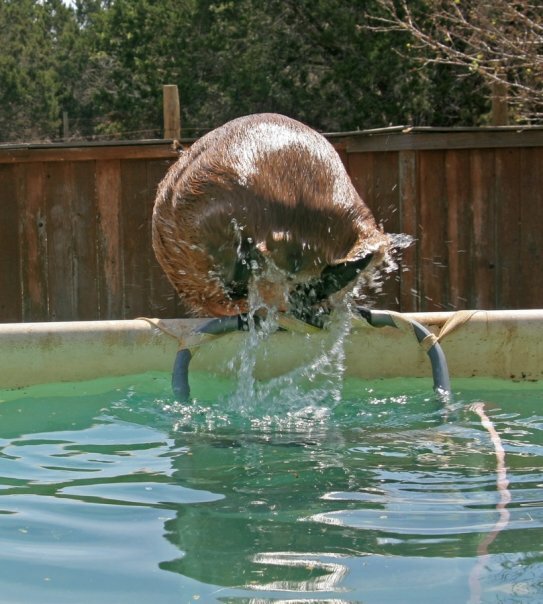 Check out this video, Capybara Approach from CapybaraCamera. 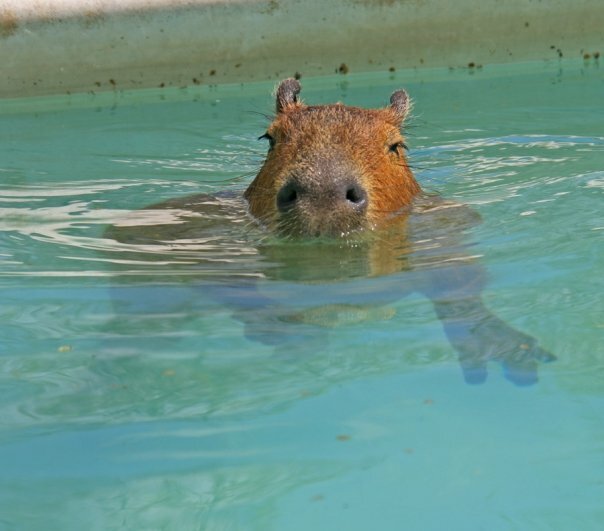 Actually, you need to check out all the photos on CapybaraCameras blog. 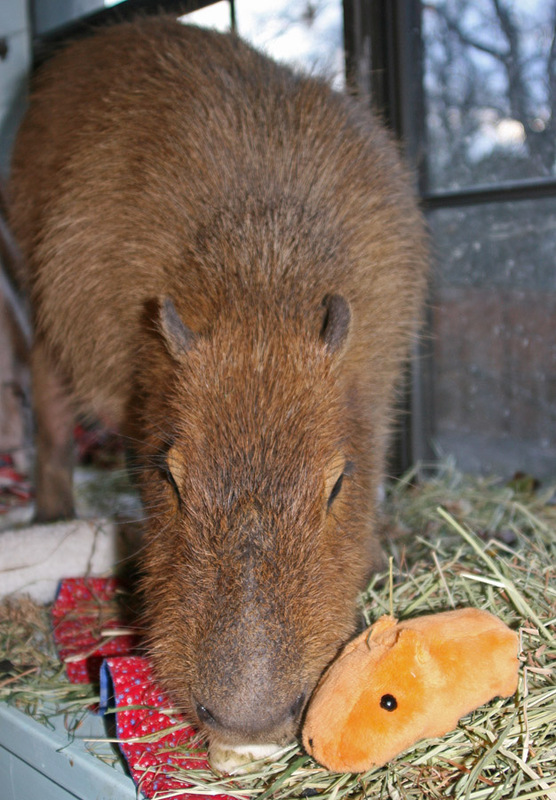 She gets some really great shots and you can see people interacting with the zoo capys. The Japanese have a strange art form made out of (in my opinion edible) paper called origami. You can make anything in origami. 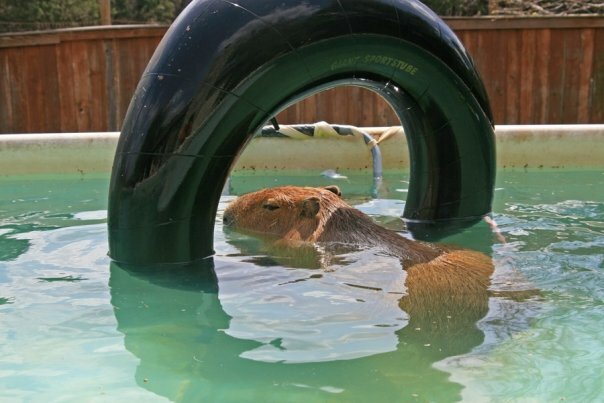 Even a capybara! That is so cool! I wish my owner were talented enough to do that. Back to toys, there is a giant, life-sized stuffed capybara toy in Japan! I kid you not! Life-sized! Actually, I think it is even bigger than I am. 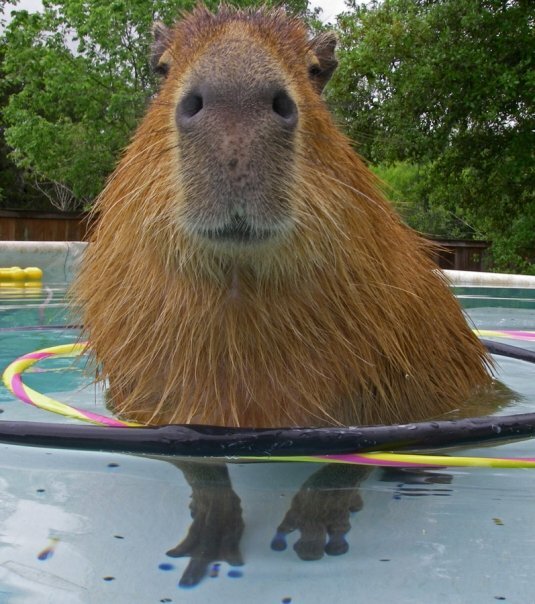 This blog entry from CapybaraCamera shows what one looks like. 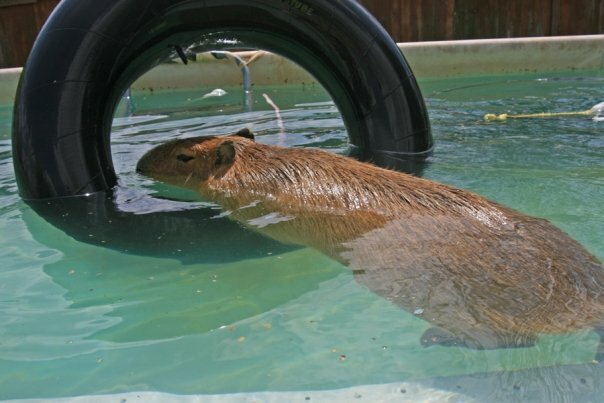 Japan seems like the place to be if you are a capybara or a capybara lover. At least for everyone except my owner who needs to stay right here with me all the time. 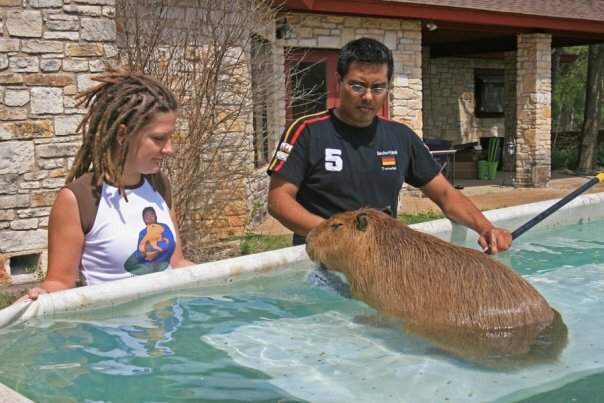 She doesn’t need to go to Japan because she has access to a capybara all day every day. So why is she going? She says it’s for work but is it really? Is she really just going to see those othe tame capybaras? Is she thinking of trading me in for a kinder, gentler model? 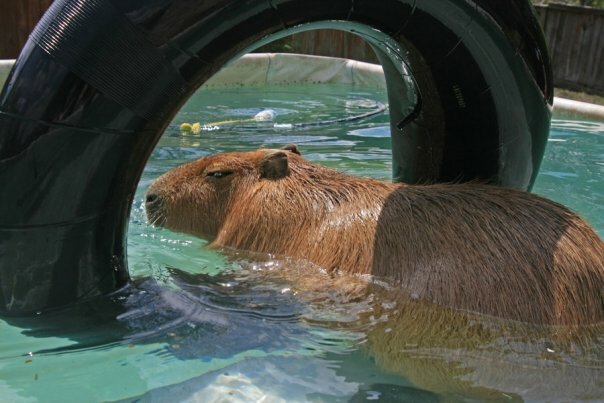 And now I found out that Siatama–that’s where CapybaraCamera took photos of capybaras in a hot bath–is close to Tokyo, that’s where my owner is going. Maybe she is going to replace me with a life-sized stuffed animal capybara! It is making me very upset so I’m just not going to think about it. I am bummed out by so much of what I hear about how animals are being treated. We have to take care of them. Someone I know established a site to seek to inform about puppy mills in his area. Each little bit assists. Haha soooo cute! Thanks for sharing.